The iconic Rajinikanth is the most celebrated and revered names in Tamil cinema today. Fondly referred to as 'Thalaiva', the seasoned performer is considered to be a demi-god thanks to his grand on-screen image and humble nature. In fact, his fans regard him as a source of inspiration as he is a self-made star in the purest sense. Now, there is some awesome news for his die-hard fans. His much-hyped Kaala has taken the Chennai box office by storm and is showing no signs of slowing down. The Pa Ranjith directorial hit the screens on Thursday(June 7,2018) and collected Rs 1.76 Crore on the first day itself. In doing so, it outperformed Vijay's Mersal and became the undisputed king of the Chennai BO. Kaala also managed to impress critics and the feeling was that it is a better film than the 2016 release Kabali. The positive reviews helped it do good business on its second day and take its gross collections to Rs 3.2 Crore. The solid start gave the 'Thalaiva Army' a reason to rejoice and laid the foundation for a solid day 3. So, did Kaala work its magic on Saturday(June 10, 2018) and remain the top choice of the fans? Let us find out! 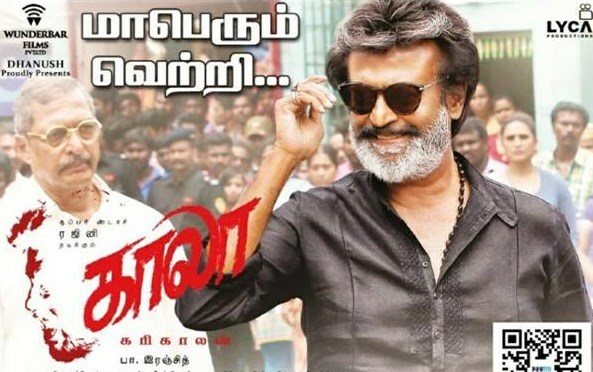 According to the latest reports, Kaala collected close to Rs 1.7 Crore on day 3 and remained the top pick of the movie buffs. Its total collections stand at Rs 4.9 Crore. Kaala is receiving positive reviews from quarters courtesy its hard-hitting plot and Rajinikanth's solid performance. As such, the WOM remains quite favourable. Kaala's political undertones too have added to the buzz around it. These factors are bound to help it do good business in the days to come.